Fire alarm systems can be used in hospitals, libraries, corporate offices and domestic homes to alert the occupants of the building and prevent potential fire accidents. Most systems are connected to sprinklers and fire extinguishing equipment which automatically get activated in the event of an accident. These alarms are used to alert the occupants of the building and notify proper authorities. Fire detection systems are equipped with a fire alarm control panel which displays information about fire alerts and is programmed to make rapid decisions in the event of a fire accident. A typical fire alarm system comprises of a cabinet, primary power supply unit, control electronics, visual interface, input interface control, output termination and monitoring. The main function of this unit is to monitor each circuit zone and identify any abnormal condition. There are two types of fire alarm systems which are collective and addressable. A collective system comprises of one or more circuits, with detectors connected in parallel, when current on the circuit increases due to alarm operation the alarm signal is received. Some examples of fire alarm systems are heat detectors, flame detectors and different types of smoke alarms such as carbon monoxide smoke alarm, ionization smoke alarm, photoelectric smoke alarm and combination smoke alarm. Some popular types of flame detectors are optical detectors, UV detectors and infrared detectors. Some fire alarm systems are directly connected to the local fire brigade service. 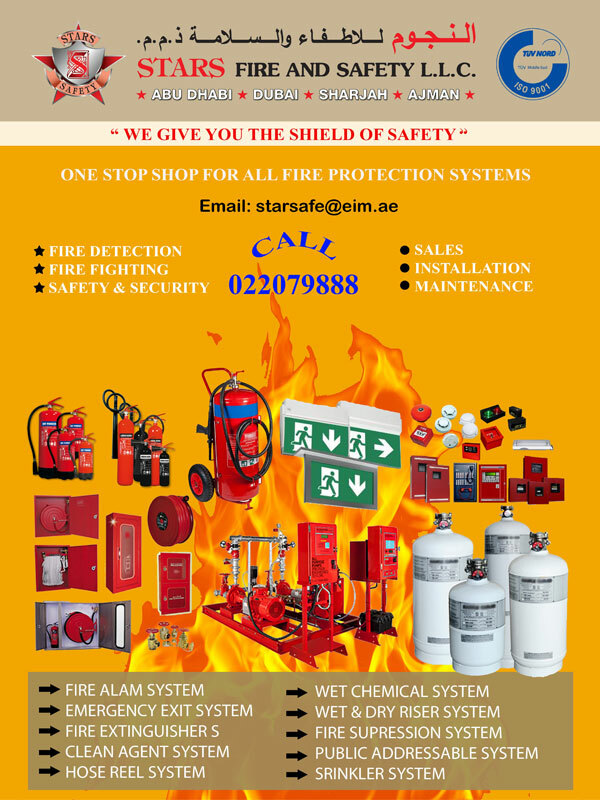 Some popular places to find fire alarm systems in UAE are Muroor road, musaffah and Khalidiya.